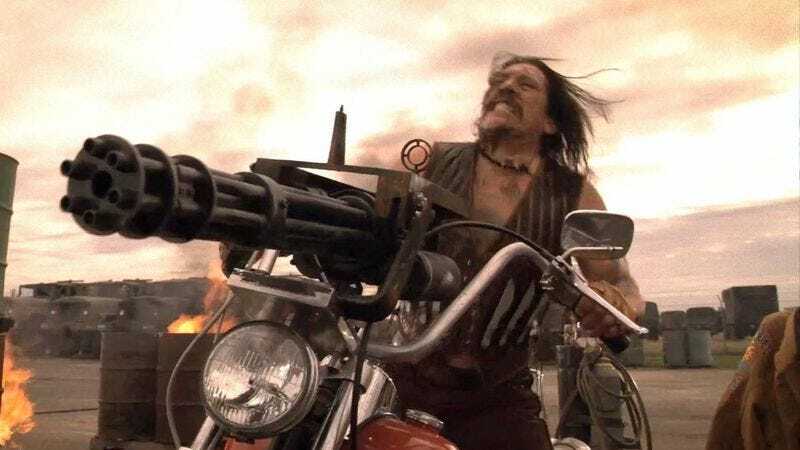 In yet more Danny Trejo-related news, the Machete star has been confirmed for a recurring role on the fourth season of FX’s motorcycle melodrama Sons Of Anarchy, debuting this September. Trejo will play the shy, affable owner of a struggling bakery who’s also raising his two rambunctious daughters, who threaten to turn the pineapple cake that is his life totally upside down. No, just kidding: He’s playing a scary Mexican guy, specifically Romero “Romeo” Parada, a dangerous former Mexican commando who becomes involved with the Sons. But you would watch the other thing, right?